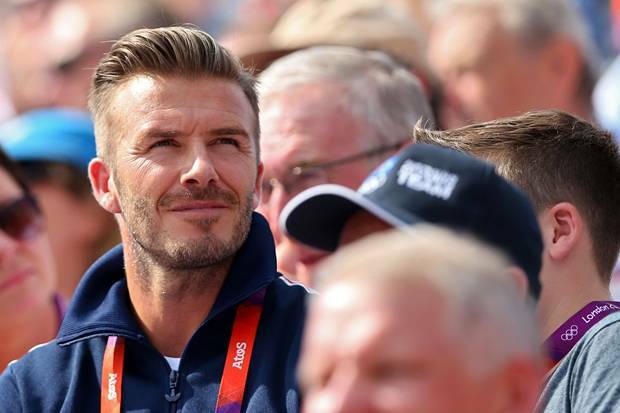 David Beckham is one of those guys that whenever you see him show up in the media, he has a new haircut. He's quite the baller in the hair game. Lately he's been seen rocking the unfortunately-named "Hitler Youth Haircut". Here he is at the Olympics... wearing a haircut inspired by Hitler... at the Olympics.